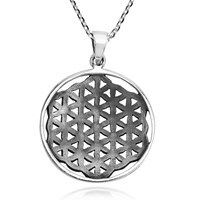 The flower of life is an amazing geometrical shape composed of multiple overlapping circles which are arranged in a flower like pattern. 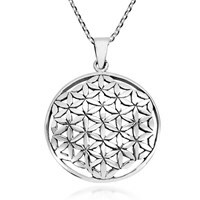 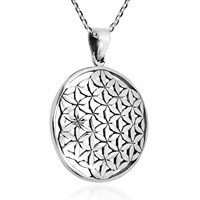 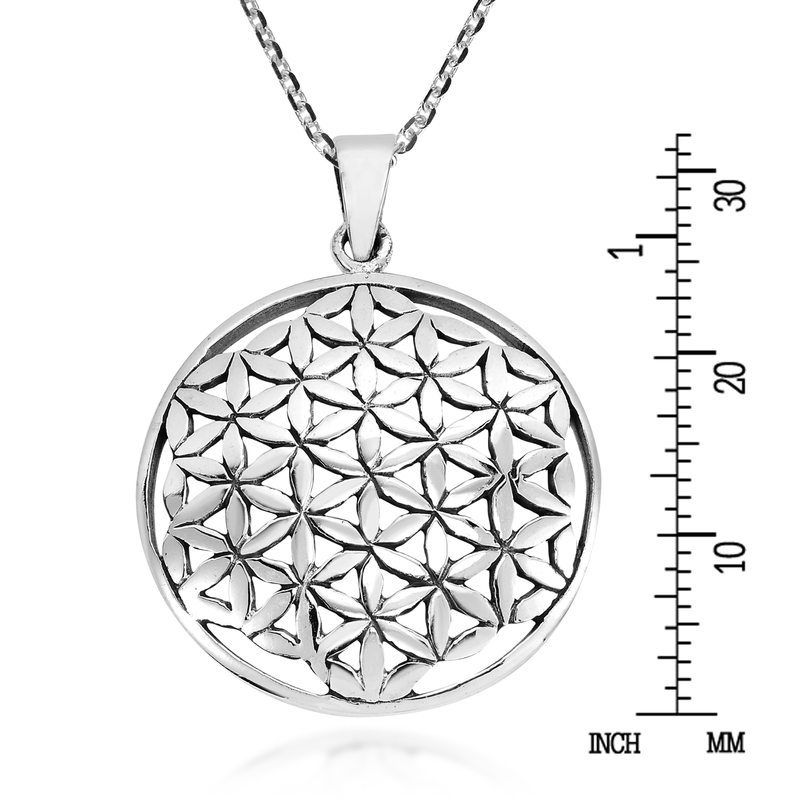 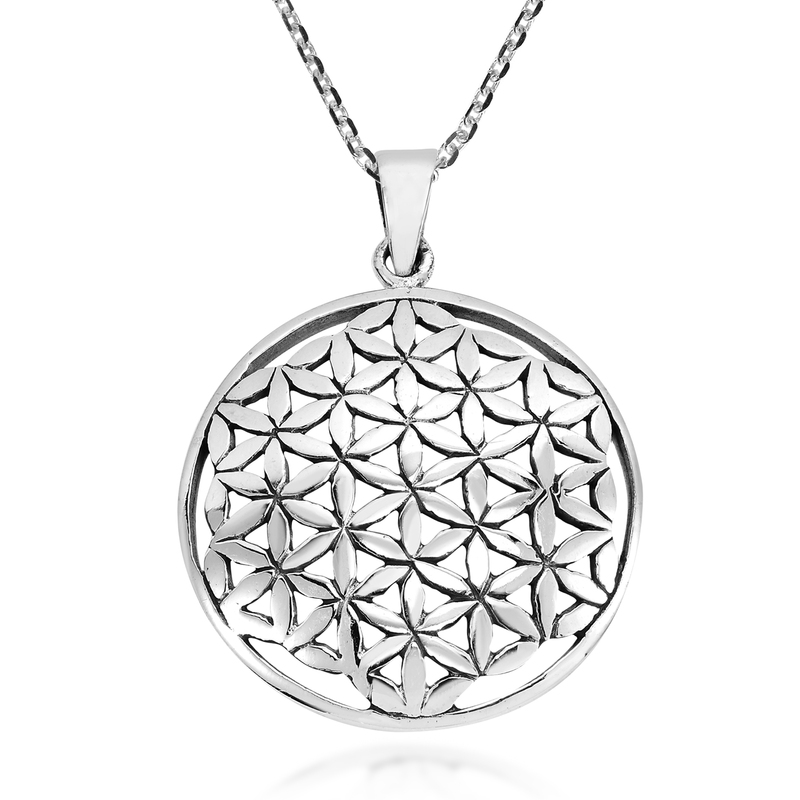 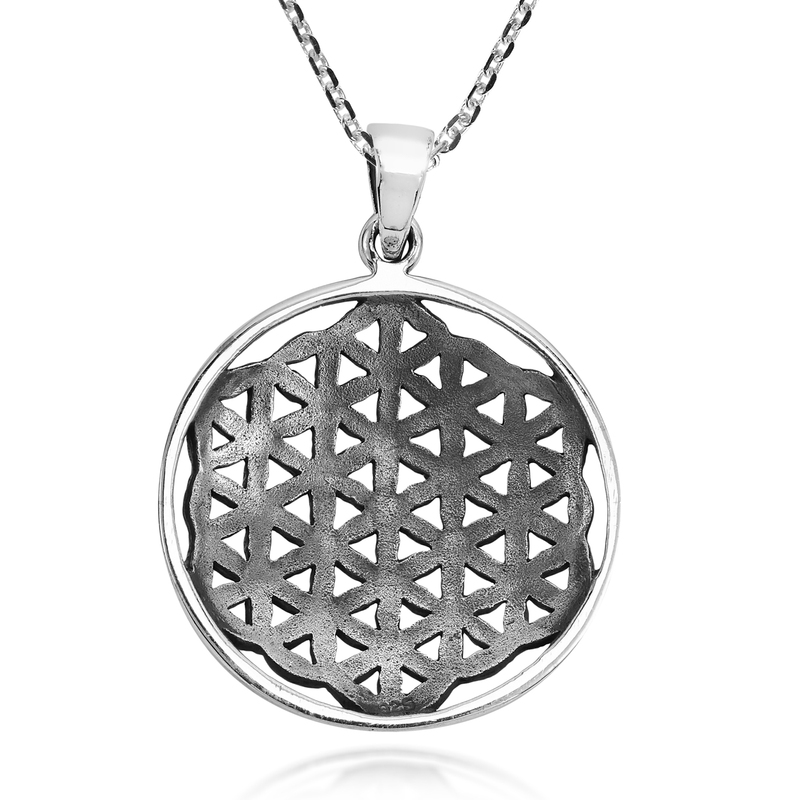 Perfect in form, proportion and harmony, the flower of life depicts the fundamental forms of space and time. 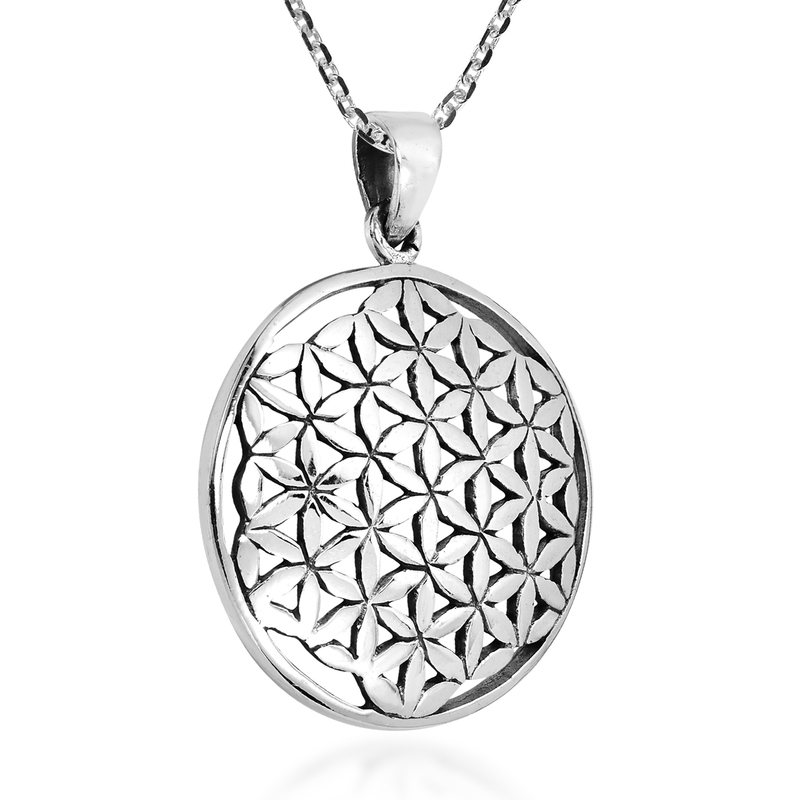 This amazing idea has inspired Thai artisan Khun O’ to create this beautiful sterling silver necklace. 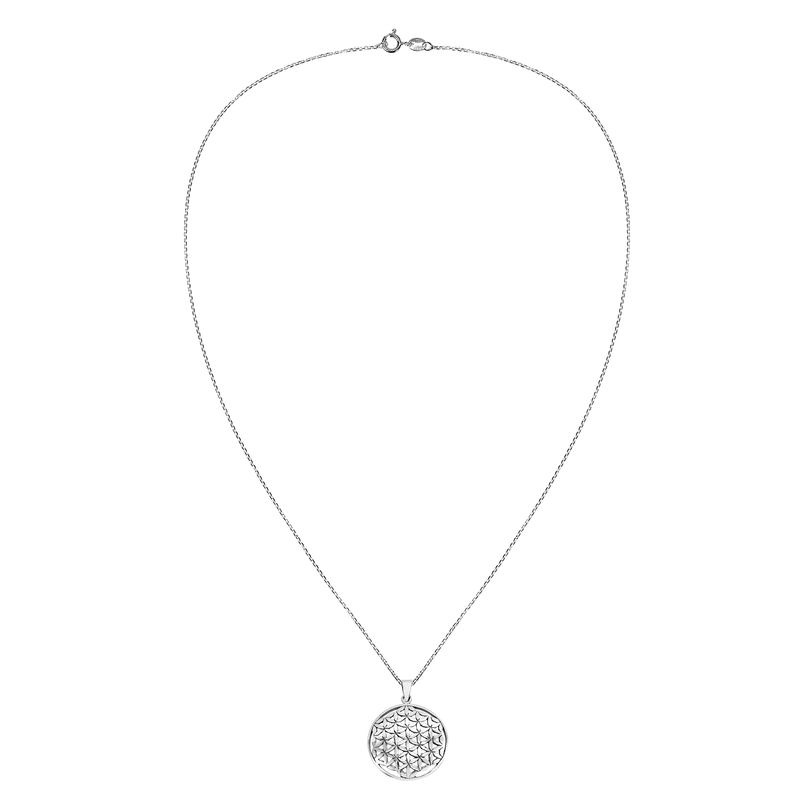 This pendant rests on a cable chain measuring 18 inches that is finished off with a spring ring closure. 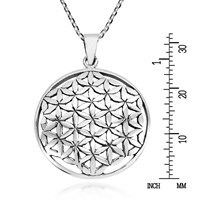 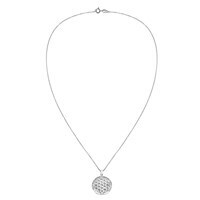 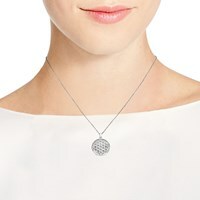 A truly inspiring design, this necklace is the perfect accessory for any occasion.